We all know that getting a reasonably quick response (or any response at all) when submitting a question through a WordPress website message box is pretty much a crap shoot. Submitted questions generally come from potential customers seeking quick clarification on something about a product or service before making their final purchase decision. 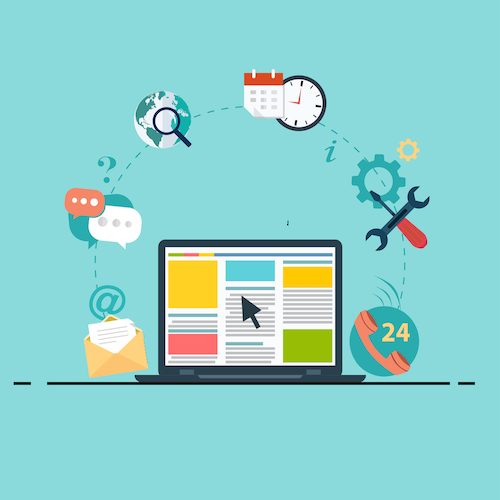 To their own detriment, business owners don’t often check or respond to website message inquiries on a regular basis as they are busy and often forget about this feature. 90% did not send a confirmation email stating that the message had been received, 97% did not follow up to see if the customer was satisfied by the response, and the average response rate was 12 hours and 10 minutes! It makes one wonder if business owners realize the potential profit they have lost out on by not answering those questions in a timely manner? Ok. So! Website message boxes aren’t really living up to their potential but there is a solution. A chatbot on a website is much more appealing for a potential client to ask their questions. These chat windows can be a great website feature and it is as if there is a dedicated person always available to answer questions any time of the day or night. WordPress website chatbot can be that dedicated person (so to speak) for any business owner. The chatbot that we have implemented on our WordPress has seen continuous engagement throughout the last few months. It is a reliable resource for visitors to gain information about our services. This is a strong considering factor as to why a website chatbot can be a game changer when used as part of a business’ Inbound Marketing plan. They can immediately respond to inquiries and quite often that quickness to respond will result in a sale. Even in those rare instances where a chatbot might not be able to completely answer the potential clients’ question, they are more inclined to wait a little bit for a human to get back to them. It is also advantageous to have the chatbot tell the client that someone will contact them within a certain time frame. A chatbot can be designed to automatically answer some of those more common questions without the business owners having to take the time out of their busy day to answer them. Immediately respond to a chat inquiry. No need to wait for the next available person. Easily gather information from a potential client for lead qualification purposes. Guide a client through a troubleshooting process and put them in contact with the exact support person who can help them. Integrate with third-party software to automate parts of the sales process. For example, the Clustaar bot can generate appointments in booking software Calendly. It’s easier than ever to get a chatbot up and running on WordPress. With the Clustaar WebChat you can integrate a bot with just short snippet of code. The WebChat also allows you to customize the colors of your bot and add a logo. There are many facets to a single chatbot. For example, a chatbot linked to a technical support page can be designed to ask questions that will guide a customer through a series of fact-finding questions to determine the correct person within the company to help with their problem. Once the correct tech person is identified, they can either jump into the chat or call the customer and address their concern immediately. As the chatbot is addressing the time-consuming process of gathering the necessary background information, the support department has freed up more of their valuable personnel resources and cut down the time spent helping each customer. These are but only a few of the immediate benefits of having a chatbot linked to a WordPress site. 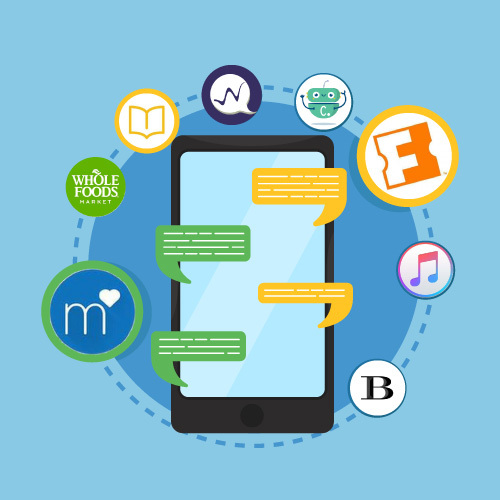 When website chatbots are integrated with Facebook Messenger, they can provide useful information to the business without the customer having to type answers to multiple questions. Additionally, as the potential client navigates their way through the chatbot, their responses are ‘tagged’, to be used for future targeted marketing or follow-up. This future interaction will take place in Facebook Messenger rather than through their email. According to the email autoresponder, Mailchimp, 20.81% of all emails are opened with about 2.43% having click-through rates (stats compiled in 2018). In October 2017, Social Media Examiner published an article stating that the tech start-up consultant, Mixergy, have 80-90% open rates and 50% click-through rates with their chatbot. In addition to having an immediate interaction with a potential customer, chatbots can be used for future targeted marketing purposes. Provide a personal connection to the client that can be used for much improved targeted marketing. Address abandoned cart situations when the customer hesitates to make a purchase. A chatbot for WordPress is a vital tool for companies to immediately address the needs of their customers. This combined with the unlimited uses for future targeted marketing makes setting your website up with a chatbot an easy decision to make. Give it a try with our user-friendly platform and book a demo with us today.